I robbed that store LEGALLY!! : GUESS WHAT? Don't believe it, umm because I didn't!! It wasn't planned at all, but my hubby and I have been married 11 years and we're excited!! check out the baby.. 7 weeks. 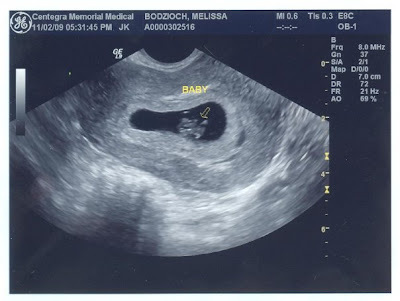 I'm due June 20th!! congrats on the new baby!!!!! They are alot of fun. Wow! Congrats to you! Very exciting! OMG!!!!!!!! How exciting!!! My birthday is June 25th so maybe you will have him/her on my birthday!!!!!! Congrats!!! Congrats Babies are a blessing! Congrats! We're due the same week! I just found out too. This is so exciting! I am SO EXCITED for you! Congratulations. Congrats on the baby! I friend of mine just found out that she's expecting. She was told she wouldn't be able to have another (son is 5). She's about 7 weeks along now.